Why should you get rid of bed bugs? Well, you have probably heard the phrase “Sleep tight, don’t let the bed bugs bite”, often used when saying goodnight to children. It should actually be considered a sincere warning as people who have lived with bed bugs suffer real consequences. Although we can see bed bugs by our naked eye, they do a very good job at hiding from us, especially during the day. At night however, they latch on to us and drain our blood, which may lead to severe itching and many sleepless nights. If you want to completely get rid of bed bugs, then you need determination, patience and perseverance. In case you decide to take care of the treatment yourself, without the help of a pest control agency, then it will not be enough simply cleaning the sheets and spraying the mattress with insecticide. You need to use an integrated pest control approach and spend a decent amount of time and efforts on the process. Worry not though, as I am here to guide you every step of the way. By the time you have followed the instructions in this guide, the bugs will be gone for good. So let us start with the basics. The common bed bug, Cimex Lectularius, has been one of the most hated household bugs for centuries. Bed bugs spend most of their life hiding in dark places, preferably close to their human/animal hosts. They measure about 6-9 mm in size and their bodies are flattened, oval and rust colored. Female bed bugs can lay 2-12 eggs per night and nearly 500 in her lifetime. The eggs take about 10-20 days to hatch. 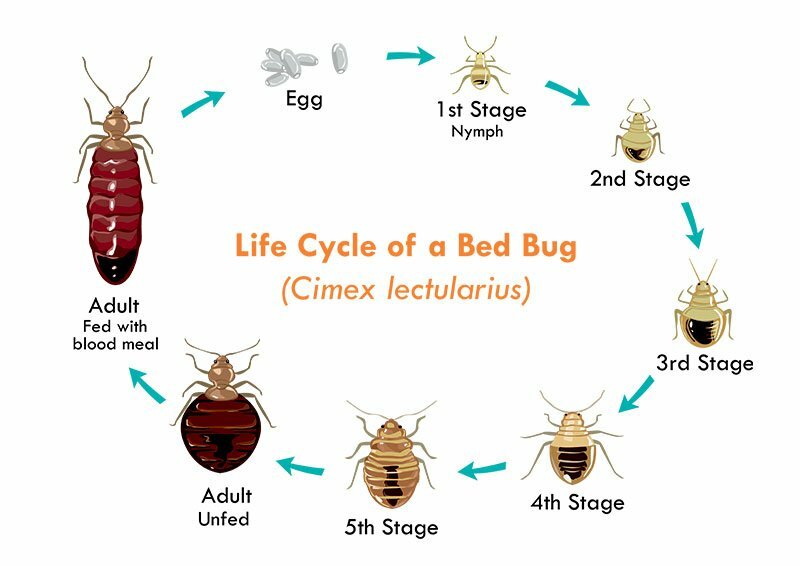 To reach the fully grown adult stage, bed bugs go through different stages of molting, which occur after a feed. Needless to say, bed bugs need plenty of blood to grow and reproduce. A female bed bug undergoes a painful insemination from the male after which she takes a huge blood meal and goes away to lay eggs. If you have bed bug eggs in your home, it is guaranteed that the female bugs have fed on you or someone in your family. As stated above, females can lay up to 12 eggs per day. These eggs are coated in a substance that makes them stick to surfaces, making it difficult to remove them. Vacuuming, steam cleaning and heat treatment works best for getting rid of bed bug eggs. The 1 mm long eggs then hatch into the first stage of nymphs. The nymph in the first stage is about 1.5 mm long. It takes a huge blood meal and then molts into the second stage which measures about 2 mm in length. After another blood meal and molting, they get to the third nymph stage measuring about 2.5 mm. After molting into the fourth stage, the 3 mm long nymphs again takes a blood meal and molts into the final nymph stage of about 4.5 mm. The fifth nymph stage takes a huge blood meal, molts and develops into a fully grown adult bed bug. The 5+ mm long adult takes several blood meals over the next few weeks. Males are busy focusing on finding females and mating while females go through insemination so they can lay eggs and increase the population. Bedbugs are wingless insects with six legs and, like most insects, have segmented bodies divided into a head, thorax and abdomen. The head contains the eyes, antenna and tiny mouth parts. In order to bite their host, a bed bug extends its piercing and sucking mouthparts which are otherwise withdrawn on the underside. Do bed bugs bite and what are the symptoms? Still others might notice the bites along a straight line. 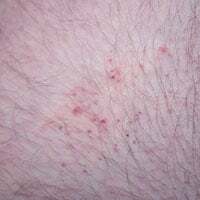 The reason for this is that bed bugs search for blood vessels under the skin’s surface and follow that line as they bite. 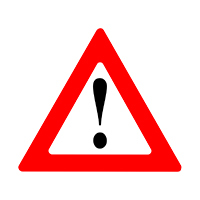 In worst cases, individuals may develop blisters or an allergic reaction. The allergy can occur immediately or may take days to develop. It is not surprising that people continue to complain about getting bit days after they have had an extermination treatment. It feels good to scratch but it is not wise to do so as it can cause secondary skin infections which are harder to treat. If you develop fever and pus filled blisters, do see a doctor immediately. Like cockroaches, bed bug bites can produce allergens which could lead to bronchial asthma. If left untreated, they can cause anemia or make a person more susceptible to common diseases. In absence of humans, bed bugs can also bite dogs, cats, birds and other livestock. To treat bed bug bites, you must first wash the bites with warm water and soap. If you have been bitten on the torso or back, then take a shower or soak in a tub filled with warm water. You can add ground oatmeal to the bath water to help soothe the bites. Step out of the bath/shower and dry yourself gently with a clean towel. Apply hydrocortisone cream (1%) on the bites. (You need to do this for the next 2 days, no more than that as hydrocortisone tends to get absorbed by the skin). Alternatively, you can apply Calamine lotion. If none of the above is available, head over to the kitchen to make a paste of baking soda with some water. Apply the paste on the bites. This will immediately soothe the rash. You can also apply soothing Aloe Vera gel or lotion to the skin to stop the itch. Antihistamines like Benadryl can also help if the itching is out of control. Watch out for signs of allergic reaction like dizziness, excessive swelling, or shock. If present, go to the hospital immediately. Although bed bugs have not been proven to transmit diseases, their bites can cause allergic reactions, swelling, rashes and secondary infections from scratching. The blood loss from their bites is severe enough to cause anemia, particularly in young children, elderly and people with poor health. The sleep loss and emotional distress, not to forget the social stigma of having bed bugs, are enough to bring on serious psychological problems. You might wake up to itchy bites or a smear of dried blood on the sheets. There may be a spray of small flecks that look like mold or ground black pepper stuck to the edges of your mattress. This may have happened before, but you will soon note that there is a pattern to this. Note that the ‘pepper’ is nothing but bed bug excreta and discarded exoskeleton as they molt and progress through different life cycle stages. On you or your family members, there may be bites lined up in a row. The blood spot may have remnants of a crushed insect leg. Upon close inspection, you might even catch the bed bugs in action. A bed bug hunt might reveal a small cluster of bed bugs along the seams of mattresses, in cracks and crevices, on furniture, electrical outlets, on pillows, headboards, in the box springs or mattresses, and on upholstered furniture and headboards. 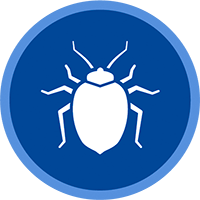 It is important to note that bed bugs are hard to find in the early stages of infestation. A person may have unknowingly brought them from a trip but might not even know about it until bitten and until the problem is well established in their home. People react rather differently to bed bug bites and many have no reaction to them at all. Generally speaking, you will see red, raised bumps on the skin which are itchy and in the form of a linear pattern. Bed bugs make their living stealthily. They sneak in, find a suitable place to bite you and stick in their piercing mouthparts. The anti-coagulant and anesthetic which they inject in your body leaves you numb so you don’t feel the bite at all while they continue to feast on your blood. From a beautiful piece of furniture you picked up from a vintage store or from the street. Your neighboring apartment may have them. After a round of spraying insecticides, the bugs can escape from their windows right into your apartment. Your five year old might bring them into your home in his backpack which he may have grabbed from the communal pile in the school coatroom. Your new work cubicle could have them. 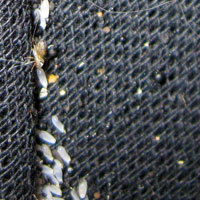 On a flight, the economy class seats could have bed bugs hiding in the upholstery. You might even get them from a cinema theater. Infested hotels and motels are the biggest culprits. Resident bed bugs easily crawl into your shoes or open luggage placed on the hotel bed, floors or chairs and easily get a ride into your home. 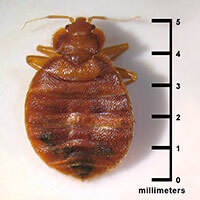 City buses and taxis too could have bed bugs which then hitch a ride into your home on your clothing. The laundromat is the last place you might expect bed bugs; not any more. Bed bugs can survive in these places and easily crawl into your laundry hamper or basket and into your home. A house guest could bring bed bugs into your home in her/his luggage or your student could bring them from his/her dormitory while on his spring break. Your car could also have bed bugs. As you can see, there are numerous ways in which bed bugs can enter your home and disrupt your lives. Once inside the home, they multiple rapidly and find harborage in furniture, cracks, crevices in floors or walls, behind wall paper and under carpeting. Eradicating bed bugs requires you to be an active participant. You cannot just expect to hand over a check to the extermination company hoping to see results. That is like playing football in mud and then hopping into the shower to clean the uniform and cleats. Will that get you completely clean? Of course not. Doing so will only wash off some of the muck. The same is the case with bed bugs. 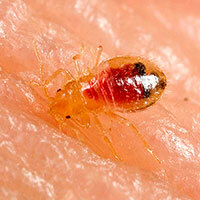 In order to get rid of bed bugs, you need a serious plan wherein you are the key component. As stated above, you will see tell-tale signs of bed bugs. The first sign will be bite marks on the body. These will occur overnight and all family members will likely be affected. If you suspect bed bugs, give your bed a thorough once-over. Strip off the covers, sheets and linen. Inspect the seams. Check the headboards and box springs using a flashlight. As soon as you see bed bugs, move on to step 2. Vacuum every room starting from the beds. You must clean in a very particular way with bag vacuums. Bagless vacuums are strict no-no. Vacuum the mattress thoroughly. Do not miss any side. Next, vacuum the floors, carpets, rugs if any. 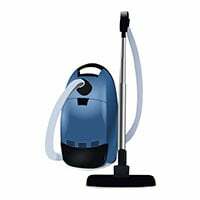 I cannot stress enough why you should invest in a powerful canister vacuum cleaner with a bag that can be sealed and discarded after each use. Vacuum every crack and crevice in affected room. It is likely that all rooms will have bed bugs, depending on the extent of infestation. So start from the bed and work your way outwards. Repeat in each and every room. Try to cover headboards, baseboards, and every conceivable crack and crevice possible. Many good quality bed bug sprays are available in the market. Lightly spray the bug spray all over the closets, drawers, tables, mattresses, box springs, bed frames, head boards, bed dressings, carpets, rugs, curtains, upholstered furniture, cabinets and shelving and other areas where traces of bed bugs are evident. Be sure to cover the entire house including the kitchen and bathrooms. A light misting of a good quality insecticide is usually enough. You will need to repeat the process after 7 days to eliminate newly hatched bed bugs. Respiratory protective equipment is required. Also be sure to read the label of the product carefully. Steam cleaning is the most effective way to get rid of bed bugs and get to their hiding places. Bed bugs, their eggs and nymphs cannot tolerate the hot steam. So it is vital not to skip this step during treatment. Another advantage of using steam is that it is safe and won’t harm the residents or leave behind chemical smells. Also, steam has the ability to travel deep inside cracks and crevices to eliminate all stages of the bed bug life cycle. 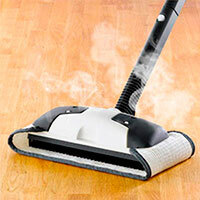 Small steamers seldom have the ability or power to carry out the precision attack needed to get rid of bed bugs. Therefore, I recommend you invest in or rent a unit with high temperature settings and strong vapor flow. Start by adjusting the steam setting so that the steam fogs over the bed bugs rather than blow them away. The ‘fogging action” will move heat slowly over a large area and kill on contact. Make sure you remove all delicate items from the area you are cleaning, especially electronics, fabrics, jewelry, paintings etc. Steam an inconspicuous area first (especially on fabrics/carpets/rugs) to ensure there is no damage. Then steam the whole area including all crevices and corners. Get down on the floor and target the steam under the beds, behind furniture, under carpets, on the cracks in wooden floor, on head and base boards, in box springs, along mattress seams, in cabinets, shelving, chairs, tables etc. Utilize special attachments to steam rugs, carpets and upholstered furniture, leather couches and so on. Be sure to get every nook and cranny. The good thing with steam is that you need very little to cover large areas and get rid of bed bugs and their eggs. So do not over steam. After steaming, place the treated mattresses and box springs inside bite-proof, escape-proof mattress encasements or coverings. Many good quality encasements are available in the market and can help you avoid throwing away a good mattress. Steam each and every crevice, under beds, behind furniture etc. 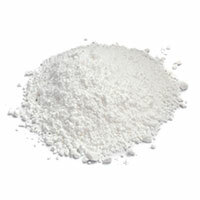 Diatomaceous earth or DE powder is a non-toxic, odorless powder that resembles talcum powder. Food grade DE powder is safe to use around people, pets and fish. However, its molecules are razor-sharp to bed bugs and can shred their insides upon contact. Be sure to use only food grade DE powder and not any other variety. The powder is also highly abrasive, so do not rub it on delicate surfaces or hardwood floors if you do not want them scratched. First off, you need to arrange for kids and pets to stay elsewhere when you perform this kind of bed bug treatment. It is not recommended to sleep in DE treated rooms as the powder can irritate your lungs. Wear protective goggles, gloves and mask to protect your eyes and mouth. While non-toxic, the powder can still irritate the eyes and lungs. Start by dusting an inconspicuous area on rugs and carpets first to make sure the materials are not damaged. The idea is to create a barrier with the DE powder so that bed bugs will walk into it and get killed on contact. For furniture, light dust around the legs or parts touching the floor. Do not add too much-light dusting should be sufficient. For closets and baseboards, create a light dust wall barricading the zone. Again, do not pile the powder, light dusting is all that you need. The idea is to get the bugs to crawl through the barrier when they try to enter or leave the zone. It is recommended keeping the barrier for 3 days to one week. DE powder can easily get blown away so you need to re-dust it after a few days. It can be impractical to create a barrier in all areas so choose wisely. Beds and couches usually require a barrier. You must wash all bedding and clothing suspected of being infested. You can bag the items and mark them as ‘infested’ so that they are not mixed with clean items. Toss all infested items and wash them at temperatures greater than 120 F or 49 C. Wash them for more than 10 minutes. Bed bugs, like all insects are susceptible to drowning. So addition of detergent or laundry soap can ensure quick elimination. 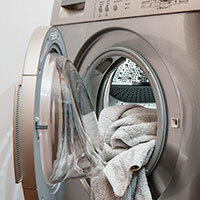 You can also toss bed clothes, pet beds, mattress and pillow covers in dryers. Run the drying cycle for more than 20 minutes at 60 C or 140 F. This way, no bed bug eggs will survive. If more people in the world knew how to prevent getting bed bugs into their homes, we would not be faced with the serious bed bug explosion that we are facing today. Unfortunately, we cannot completely avoid the risk of catching a hitch-hiking bed bug and bringing it into our home but with some precautions, we can minimize the risk. Frequent travelers are at a serious risk to bring home bed bugs from infested buses, trains, planes, cruise ships and hotels or motels. There are some steps you should go through before you leave, which will reduce your risk of bringing home bed bugs. Before booking, call the hotel. Ask them if they have had a bed bug problem and, if yes, what steps have they taken to remedy it. 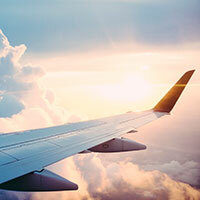 Their response can give you an insight into whether to book there or elsewhere. Avoid cheap motels and hotels as they likely do not have the funds for treatment. 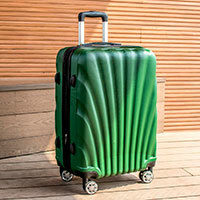 During travel, cover your luggage with encasements (check airline restrictions about their use first). If needed, spray them with DEET or bug spray to repel bugs from crawling into them. 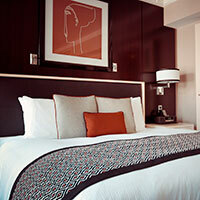 Once you are in the hotel, check the beds for signs of a bed bug infestation as explained earlier in this guide. If you see tell-tale signs like rust colored marks, sweet almond like odor, discarded shells and exoskeletons of bugs; ask to change your room. Better yet, ask for a refund and book a room elsewhere, if possible. 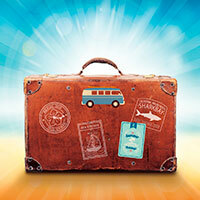 Keep a flashlight in your luggage and check the cracks, crevices and headboards etc. 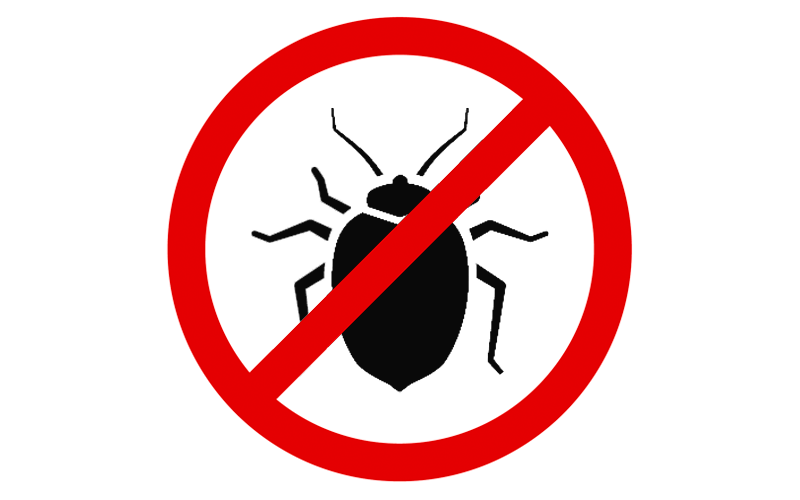 Even if your room does not have bed bugs, you must take basic precautions. Place your luggage inside sealed plastic bags and store the bag in the bathroom. This is because; bed bugs generally do not hide in motel bathrooms. At all cost, avoid placing luggage on the floor or bed. Cover your shoes in plastic sealed bags and like the luggage, keep them in the bathroom. Inspect hangers, closets, shelving and cabinet/drawers before placing your stuff in it. Many precautions can be taken once you are home so you can prevent the problem from worsening. You should start by placing your luggage in the garage or somewhere outside your home. Then remove all the clothing and personal items and take them to the laundry right away. You need to wash all the items in hot water, laundry soap and, if tolerable, bleach. Also spray the empty luggage with bed bug spray. This will eliminate the lone hitchhikers and prevent the problem from spiraling out of control. If you have school/daycare going kids, wash their clothes and backpacks immediately to make sure they did not bring home unwanted guests. When you are staying overnight at a friend/family member’s home, use the same precautions as you would in hotel rooms. This includes inspecting the beds, placing bags in bathrooms and spraying bags once you are back home. Before signing the lease to a new apartment, talk to neighbors to ensure there is no bed bug problem. If you notice bed bugs after you have moved in, you must contact your manager/landlord right away. Get him/her to schedule a pest extermination of your premises. In order to avoid bed bugs in taxis, planes, buses and cruise ships, use luggage sealing bags and bug sprays containing DEET. After you are back, inspect your clothing and avoid placing it into cabinets before having it laundered. Keep a clean home by vacuuming every 3-4 days to get rid of bed bugs already present, but also prevent new infestations. If you have had bed bugs before, you are at significant risk of getting them again. So treat your premises with diatomaceous earth powder (food grade) or boric acid powder. These help create barriers and kill bed bugs on contact. Use pillow and mattress encasements indefinitely. They create an effective barrier to bed bugs, dust mites, and allergens. Your car can have bed bugs too, so wash, launder, vacuum, steam clean, spray and use boric acid powder or DE powder on the seats, floor, under foot mats, in glove compartments etc. Re-treat in this manner every few days. 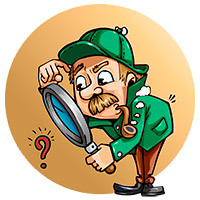 Inspect your premises every now and then, inside and out, at least once a month to ensure the bugs have not returned. If you follow all precautions in this guide, you should be good. And if you have made it to the one year mark of not seeing any bed bugs, you should be in the clear. However, if you do see bed bug signs at any point in time, start treatment right away. At the one year mark, retreat your home with bed bug spray and DE powder. Bed bugs can lay dormant for up to a year so spray away. Your common sense is the best defense against bed bugs. People who have had an infestation are always at a greater risk of re-infestation. 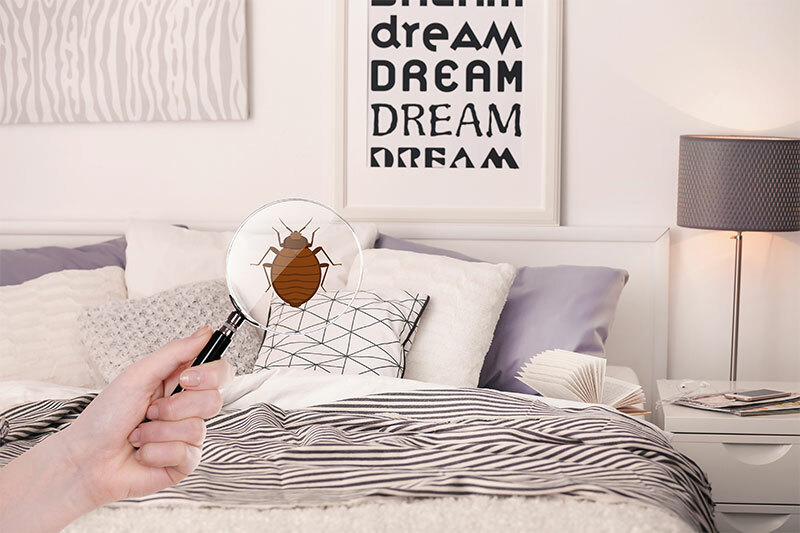 After the experience you have had, I am sure you will want to always be on the lookout for bed bugs and use precautionary methods to maintain your bed bug free status. I hope this guide helps you get rid of bed bugs and also prevent them from ever returning.